Amazon is often maligned as only being interested in losing money on ebooks. That's never actually been true (just ask the DOJ), but last week one ebook retailer in China decided to give the idea a try. Dangdang.com ran a sale last week that defied the meaning of the word. According to China Daily, Dangdang put their entire ebook catalog on sale for free. Much to the dismay of authors, publishers, and literati everywhere, Dangdang launched a 3-day sale last week that saw "almost all of its e-books being sold for free, from Wednesday to Friday". It's not clear how many titles were included, exactly, but from what I can tell their catalog has over 100,000 Chinese-language titles in it. What's more, rival ebookstore Jingdang decided to match the sale (to a limited degree) and announced they were giving away 50,000 titles. According to local media, Chinese writer Feng Tang has already delivered a lawyer's letter to the retailers protesting about the giveaways, which he says is costing him a considerable amount in lost royalties. Zhao Chen, from People's Literature Publishing House, told Beijing News that the promotion will bring harm to companies. In spite of the complaints I don't think it's such a bad idea as a one-time event, not if past reports on the Chinese ebook market are true. Last September I reported on the Jingdong, one of the smaller ebook retailers. That company was launching a subscription offer for ebooks. Customers could get any of 1,000 titles for an exceptionally low price of of 30 yuan ($4.90) for three months. 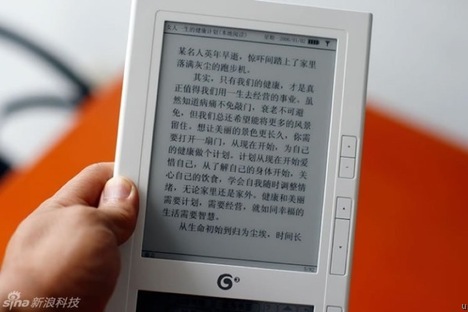 Jingdong offered this deal because at that time the ebook buying public was reportedly resistant to the average ebook price of 5-8 yuan. I have no direct confirmation of that claim, just what is being reported, but I mention it because according to China Daily Dangdang "considers there are only a small number of regular e-book readers in China and encouraged publishers to invest more time and money in the future marketing and selling of e-books". That's not quite what Jingdong claimed last year, but one conclusion that we can reach is that both ebooksellers think the ebook market in China is small and not growing all that fast. This presents an opportunity for deep discount sales like the one that Dangdang just had. Dangdang's goal with last week's sale was to grow their customer base so that it will be large enough that the losses from the sale will be made up by revenue from returning customers.All those free ebooks tie the customer's to Dangdang, giving them a reason to come back and buy more content. That is more or less what Amazon's pricing policy was in the days before agency pricing was forced down their throat, and to a smaller degree that was also Amazon's policy after agency pricing (they just had to focus more on indie and KDP titles). It worked for Amazon, did it not? And in spite of the whining about Amazon's pricing policy, it worked for the market as a whole. You can tell that by the triple digit growth rate in 2008, 2009, and 2010. With luck, China might see similar growth. I estimate that I could select and download about 30 books per hour, 14 hours per day, for 3 days, for a total of 1260 books. That would certainly allow me to dispose of a number of paper books in my library; books that date from the time before ebooks became available. Seriously, I would be interested to see how many titles each customer downloaded. I am up to date on new releases. If I wanted a new release ebook, I have already bought it. There are, however, a lot of backlist titles that I bought years ago in paper that I would download if they were free. But coming up with a list of authors and titles on the spur of the moment would take time, which would limit how many books I could grab in three days. I also wonder if the Chinese retailer put any technical constraints on the sale; things such as limiting the sale to 50 books per customer, or to one book per customer in every ten minutes. Not unlike Marvel’s recent digicom giveaway. Hopefully *their* infrastructure kept up with the traffic. The complaint of lost royalties doesn’t jibe with the “selling” ebooks at a loss; either they were paying the publishers full freight (as Amazon does when *they* do a sale–versus price matching) or they were giving away somebody else’s property. Marvel’s sale was on a much smaller scale. It also only covered first issues, leaving the rest of a series to make up the costs. But yes it did have the same idea. The publishers and authors should hold a demonstration in Beijing, protesting this anti-capitalist action. Wait. What? Oh. Never mind.